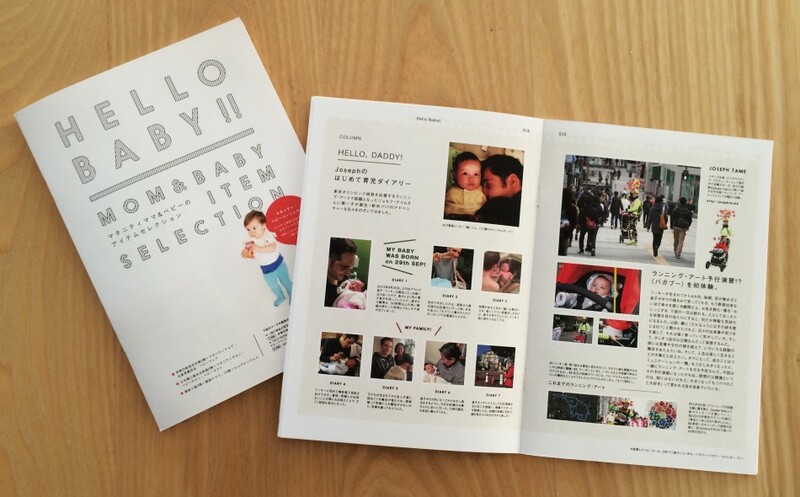 Spring 2014 saw the debut of the father-and-son duo, as “Daddy’s Diary” became the featured article in the new edition of the Isetan-Mitsukoshi baby goods catalogue. 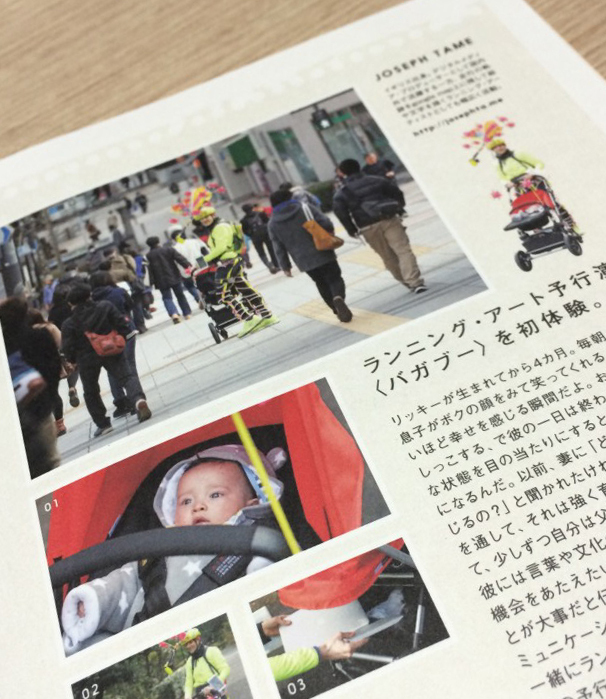 In addition to the diary, I also reviewed the Bugaboo Chameleon buggy, a stroller that’s a favourite of parents in the UK and the US, but not seen so often in Japan. Twinkletame and I had had long discussions about strollers. I dislike most of those you find in Japanese baby departments as they are too small, unstable, and I always seem to trip over the back wheels. 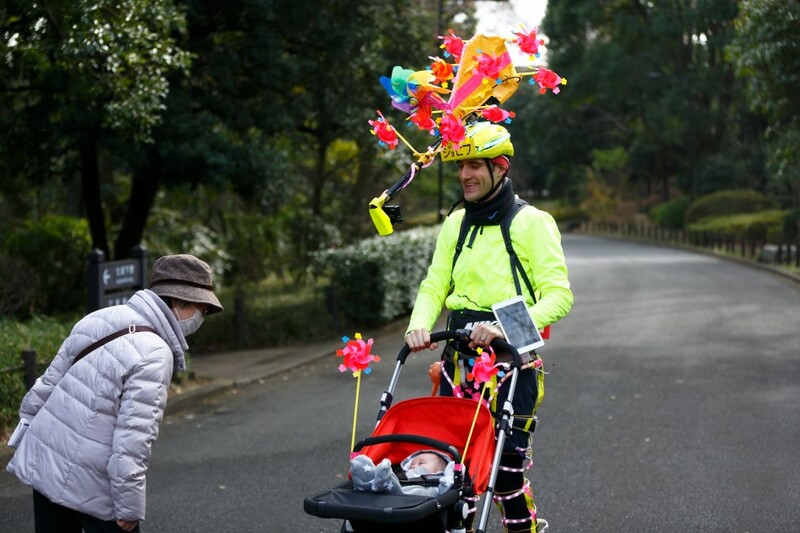 The Bugaboo Chameleon though is something else…! Really nice build quality, sturdy with large wheels that make it easy to mount kerbs and cross uneven surfaces. We’ve also used it in the Tokyo snow without a problem (just reverse the handle so that the large wheels are at the front). The handle is adjustable meaning that even tall people like myself can use it with having to bend over – or trip over the wheels. Also, it’s perfect to attach windmills to! Thanks also to writer / editor Sumiko Ayata for coordinating this / making it all possible. The Bugaboo Chameleon3 really has stood the test of time. It has been just fabulous, and we can continue to use it on an almost daily basis. Based on my experience over the past few years, if I was in the position again of choosing a first buggy, I would definitely go for the Chameleon3. It would be a great investment.